Lijau reviews the case for small scale Biomass in Indonesia. We look at the role biomass boilers, engines and turbines, with associated applications have in the renewable energy mix for Indonesia. (10 minutes).  Lijau is a development company created to bring the world’s best renewable energy technology, innovative building practices and environmental design to where it is needed most. Provide background information setting out the challenges and opportunities in Indonesia for renewable energy generally, and how biomass generated energy in particular will be an important part of the solution for remote, rural and off-grid poor. Demonstrate the life changing effect remote off-grid energy will have on people and communities who currently live without reliable electricity, or none at all. Indonesia is uniquely suited for the mass adoption of geographically distributed, biomass-burning, steam-driven electrical generators. The latitudes and climate within which most of its people live produces a surfeit of biomass material every year. The extended network of islands mitigates against the establishment of a ‘national grid’. Large segments of the population in remote, under-serviced areas have all the elements necessary for small scale businesses, lacking only the electricity to make it happen. 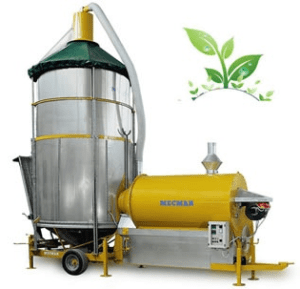 Biomass boilers and steam engines/turbines are very forgiving of rough treatment – they are difficult to break and easy to fix, especially in comparison to solar systems and wind turbines. In places where the grid exists, or is coming, surplus energy may be pumped into this grid in return for credits or cash. The rate depends on the location as the feed-in-tariff (the amount paid for energy fed into the system) varies from province to province in Indonesia. Available biomass is currently burnt off in a wasteful and polluting manner across large parts of the archipelago. Burning the same material in a boiler to produce steam would not only be energetically useful, but the burn is much more efficient resulting in a reduction of the annual smoke haze and grass carbon fallout afflicting the region. Steam production and steam engines/turbines are a very mature technology. A very basic system would co-generate energy in the form of hot water and electricity. A simple unit can be installed using basic tools and equipment and can be hand fed to produce electricity within minutes. The modular nature of the system means that as needs grow, capacity can increase and ‘bolt-on’ additional capabilities can be added, such as crop drying, absorption refrigeration, desalination, an electric chipper, heat exchanger and more. If rolled out and broadly adopted the government of Indonesia would be able to keep its promise to increase energy supply, increase the renewable energy component of that supply, and not leave behind the most poor and remote communities all at the same time. These undertakings are contained in the National Energy Policy (Kebijakan Energi Nasional, KEN) and the National Energy Master Plan (Rencana Umum Energi Nasional, RUEN) (together “the Plans”) which mandate near-universal access to electricity by 2020 and 23% renewable energy in the overall energy mix by 2025, up from the current level of 7%. Small scale biomass systems can be deployed to produce carbon neutral energy for remote communities, small businesses, eco-resorts, homes, clinics, factories and schools, whilst simultaneously supporting the government of Indonesia achieve its poverty reduction targets and climate change objectives. There are three parts. Part one describes the challenges and opportunities, part two describes various equipment solutions, and part three describes what is meant by ‘biomass fuels’. For the purposes of this paper, ‘small scale biomass’ is taken to mean a boiler, steam engine/turbine and generator producing anything up to 50KWh of electricity. Renewable energy options include solar, geothermal, wind, wave energy, biogas, and biomass. All these forms of energy are variously suited to different locations in Indonesia, at different times for differing reasons however biomass is best suited for remote, rural locations with poor infrastructure and low skills. All forms of renewable energy generation are a compromise between cost, availability (i.e. 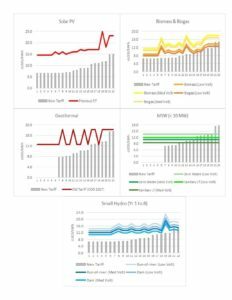 while the sun is shining, or wind is blowing), storage and distribution, the costs of ongoing maintenance and performance over time (e.g. payoff time for solar panels versus their degradation in efficiency over time) and the availability of skilled workers to install and maintain systems. There is no silver bullet – there must be compromise somewhere, ideally mitigated by over-lapping technologies. The Current State of Energy Generation in Indonesia. There is a significant mismatch of capacity and demand for energy in Indonesia, with a corresponding mismatch of incentives for private sector providers of base load power especially in over-supplied areas like Java and Bali. Significant incentives exist in these locations for investment into thermal generation (coal) as these islands host the greatest concentration of people and hence offer the most lucrative demand. However, these incentives are structured in such a way that much of the capacity is under-utilized. Meanwhile in the less developed areas of the periphery, there is a paucity of capacity which provides an economic disincentive for investment in SME. This is due to the poorly designed practice of Capacity Payments, whereby Independent Power Providers (“IPPs”) receive guaranteed payments for installed capacity, whether it is used or not through Power Purchase Agreements (“PPAs”). These incentives for coal fired power plants in locations already over-supplied with electricity at the expense of cheaper, small scale renewable energy options for those living in the periphery is a known problem, and is slowly being addressed. However, since 2014 the government has embarked on a series of subsidy reforms. The government resolves to subsidize electricity supply to only poor and remote areas, and has reintroduced the automatic tariff adjustment mechanism, which allows for maintenance of the real price of services against fluctuation of various factors such as exchange rate and fuel price changes. The electricity subsidy is now being phased out gradually until all but the poorest households pay for electricity at market price by 2018. Nevertheless, even with these subsidies reforms Perusuhan Listrik Negara (“PLN”) will have significant negative cash flows due to large government-mandated investment plans through to 2020. Hence, retail consumers can expect to have not only the subsidies on fuel (for transport) removed, but will also be exposed to fluctuations in the cost of fuel via the cost of electricity. These cost fluctuations will inevitably be ‘up’. Currently, PLN’s rural electrification plan is still driven by expensive imported diesel fuel. It aims to develop diesel-fueled power plants for villages that are growing but have not yet secured connection from the expansion of the nearest grid system. An example was recently installed on Riau. This roll-out of capacity will reach many in remote communities, but only those who live reasonably close to the generator. The extension of the poles and wires network is not expected to be comprehensive any time soon. According to government figures, Indonesia had attained 88.3% electrification as at the end of 2015. As detailed in the National Energy Policy (Kebijakan Energi Nasional, KEN) adopted in 2014, Indonesia is aiming for near-universal access by 2020. The challenge of electrification is most acute in Eastern Indonesia with electrification rates as low as 45.9% (Papua). The stated total number of those living without access to electricity is 40 million people. It should also be noted that Indonesia has a natural growth of some 900,000 new households per year many of whom are born in remote locations. The majority of those with no access to electricity live in the Eastern Islands or NTT in areas prohibitively expensive to run poles and wires. Electrification efforts must therefore extend to more remote settlements using a ‘bottom-up’ approach. This is costlier and technically more difficult than the diesel powered energy sources they [may] already have. Increased use of renewable mini-grids and individual off-grid household systems represents a least-cost modular option to bring electricity to the last clusters of difficult to reach, unserved populations. Given the skill base, the relatively high availability of suitable biomass and the cost/technical limitations of alternative renewable energy sources, biomass boilers/turbines/generators offer the best solution for these remote communities. There is both government and international support for these initiatives. This is important, because the beneficiaries are not the clients, and vice versa. Remote and rural communities in Indonesia are unlikely to have the tens of thousands of dollars necessary to procure, install, set-up and train people to run and fault check the system. Government and institutional support is crucial to success. Institutional donors and partner countries are working with the government of Indonesia to address energy security issues, internal migration through support to SMEs in rural areas, climate change mitigation through support to renewable energy efforts. Key among them are DFAT, USAID, GIZ, JICA and the World Bank. The Asian Development Bank has a number of commitments to clean energy development, rural livelihood and climate change mitigation. The Country Partnership Strategy has as its first output area, “Sustainable energy access achieved for all Indonesians”. Although the stated use case for small scale biomass is off-grid, the relative cost of mains power will always be used as a reference, and therefore will be briefly discussed here. The ASEAN Centre for Energy has produced a number of good research papers on the electricity market in Indonesia. They focus mainly on larger capacity production and the selling of electricity to the PLN. A comprehensive study (circa 88 pages) on the Levelised Cost of Electricity (“LCOE”) for renewables in selected ASEAN states calculated a LCOE for biomass in Indonesia was US$0.076/kwh. It should be noted this number was based on only two generators, one 1MW and another 15MW, both which consumed palm oil shells. An important note on efficiency. The larger the system the more efficient it is per unit of fuel. The roll-out of small scale biomass acknowledges that it would be more efficient to burn tonnes of coconut husks in a massive boiler to produce MWs. However we also recognize the reality that the community/enterprise in question has kg’s per day of material and only needs KWs. Access to less efficiently produced KW of energy is infinitely better than no access to large, efficient generation capacity. The LCOE is the net present value of the unit-cost of electricity over the lifetime of a generating asset. It is often taken as a proxy for the average price that the generating asset must receive in a market to break even over its lifetime. It is a first-order economic assessment of the cost competitiveness of an electricity-generating system that incorporates all costs over its lifetime: initial investment, operations and maintenance, cost of fuel, cost of capital. The subject of LCOE for large scale electrical generation plants seeking to sell electricity into the grid is, at face value, irrelevant when discussing the suitability of systems that will mainly be deployed off-grid. However, the costs and payback times for any systems will always be calculated with respect to these numbers and so they are worth considering for completeness. On the other hand, the retail cost of electricity in Indonesia is known locally as the Biaya Penyediaan Pokok (“BPP”). 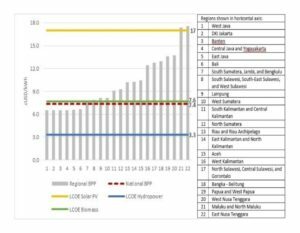 The cost to generate renewables, especially in Java and Bali where 70% of the nation’s energy is currently generated is higher than the BPP and hence uneconomical. The dotted red line in figure 1 below is the national BPP. The green line for biomass comes in just above the BPP, however, it should be noted that it was derived from a very narrow study (two projects). Solar panels are expensive and become less efficient over time. The large “farms” of panels eventually collect dust and will need to be cleaned like windows. Failure to regularly maintain solar panels (and associated cabling) increases the degradation of efficiency over time. Obviously, unless a form of storage is included, or there is another form of electricity generation that works at night there will be daylight only electrical energy. The grid, if it exists can be used as the battery and a solar farm can earn feed-in-tariffs for surplus electricity produced. However to be economically viable the farms need a lot of land and regular technical maintenance. When constant power, especially at night is required, storage must be procured as well. This then multiplies the number of panels required, as there must be sufficient to provide day time power requirements AND night time requirements for later. The budget for this storage is approx. US$1000 per KW. Hence the deployment of solar needs a more complex cost benefit analysis and the procurement of storage units to provide 24/7 power. In theory, Indonesia is well suited for large scale wind turbine electricity generation, but in certain locations and only where the maintenance capacity is present and affordable. However, they are very expensive to install and operate, and are not suitable for the small-scale applications in highly distributed and remote locations requiring a constant voltage for small businesses and homes. Wind farms are best employed for large scale production of energy for sale into the grid. The intermittent nature of wind energy, like solar, requires a storage solution to be a part of the mix, except the amount cannot be as accurately predicted for wind as it can be for solar. Generally, the wind needs to blow at least 15knots for at least 70% of the year for a large scale plant to be considered viable. 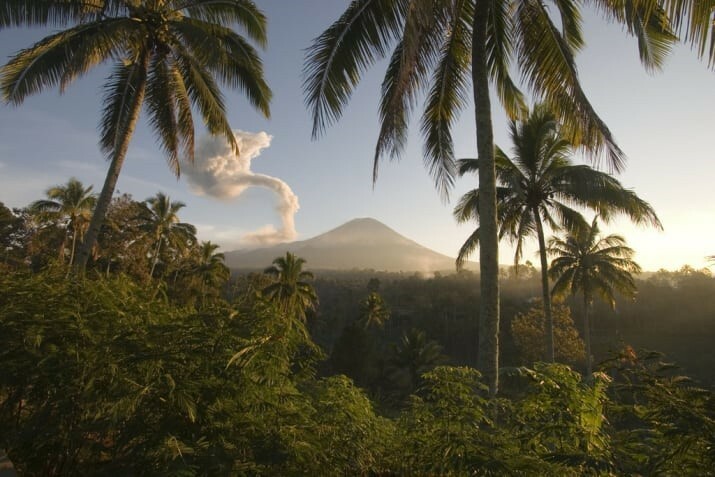 Located on the ‘Ring of Fire’, Indonesia has more active volcanos than any other nation on earth, and in theory ready access to geothermal energy. In practice however, many known reserves are in protected areas, the plants are much more expensive to set up than thermal power plants, and are associated with negative environmental outcomes thanks to the Sidoarjo Mud Disaster, which has caused about $2.9 billion in damages and displaced tens of thousands over the last ten years. And herein lies the problem for geothermal – the same proximity to the Ring of Fire that makes geothermal energy a potential resource also allows the potential for the creation of ‘mud volcanos’ if the seismology is not conducted correctly. This is almost inevitable due to the necessity to have collocated expensive plant equipment in geologically unstable areas. Notwithstanding the above, geothermal energy is only useful for selling large quantities of electricity to the grid, and not applicable to the challenge of bringing small-scale energy to remote, off-grid poor. Indonesia is a significant exporter of biodiesel due in part to its enormous palm oil production. While at first glance, bio-diesel is a way to use ‘green’ technology to partially displace the hydrocarbons in the fuel used in the transportation sector, in reality the image is much darker. The production of palm oil in Indonesia is understood to be a major contributor to the nation’s greenhouse gas emissions due to the deforestation and forest fires associated with the land clearing required. The EU, for example, has agreed to halt by 2020 the use of Indonesian palm oil in biodiesel due to the product’s inadvertent contribution to deforestation, habitat loss, human impact with respect to traditional uses of the forests and climate change. Wood is nature’s way of storing solar energy. The capturing and storing of carbon within wood and other plant matter is an integral part of the carbon cycle, as is its eventual return to the soil and air when it breaks down. Once dead, and dry, it is ready to be picked up and fed into a furnace and boiler setup to run a steam engine / turbine. The same amount of carbon stored will be returned to the environment in the form of exhaust emissions and ash (and biochar, if pyrolysis is used), which itself can be in an input into fertilizer for carbon deficient soils. The pace of this carbon feedback loop is in accordance with the natural cycle, and hence this process is considered ‘carbon neutral’. A well-placed biomass/boiler set-up will be collocated with industries, the by-products of which are combustible biomass. Many industries generate a lot of combustible byproduct – sawmills, furniture factories, coconut farms, vegetable oil extraction processors, roadside clearing companies, grain farms, grain processing factories, harvester operators, etc. Sometimes people are paid to take it away, and sometimes especially in Indonesia it is inefficiently burnt in location. The carbon is going to be returned to the environment in any case. It is inevitable and natural. By managing it and burning it in a boiler, electricity and heat energy are the useful and renewable by-products. 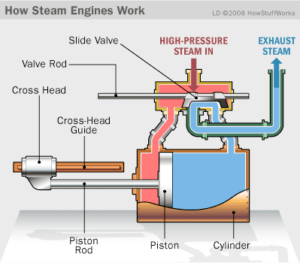 The high-pressure steam for a steam engine/turbine comes from a boiler. To date, wood chip/pellet boilers have dominated the commercial market. These boilers can be configured to run on a wide range of different fuel specifications with moisture contents from 15% to 50%. Boiler sizes range from 7KW, which is suitable for a large house or small business, to power-station sized boilers of 100MW and more. Boiler responsiveness is determined by the moisture content of the fuel the boiler is designed to accept. In general, the drier the fuel, the more responsive and efficient the boiler operates. They can be fed automatically from a store of woodchips, thus making it simple to run. Originally designed to pump water out of mines, steam engines evolved to be used in cotton mills, locomotives, steamboats and factories, and acted as the foundation of the Industrial Revolution. Steam engines and turbines have come a long way since. Runs on very low steam pressure and low volume (20L of water circulating in the system, at a pressure of about 150PSI, depending on the system employed). Steam turbines work well in major power plants, naval warships, and the like. Such applications require huge amounts of horsepower and in the past were only efficient on a large scale. The definition of Steam Turbine is “The Turbine is a Prime Mover in which a Rotary Motion is obtained by Centrifugal Force brought into action by changing the direction of a Jet fluid escaping from a Nozzle at high Velocity”. 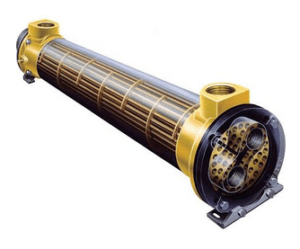 The Turbine is an ideal Prime Mover and has got a variety of uses including electric generators, ship propellers, and driving pumps, fans, and compressors. The Steam Turbine is well adapted for work which requires high rotative and constant speeds even with widely fluctuating loads. Steam turbines evolved from the steam engines that changed the world in the 18th and 19th centuries. A steam engine burns biomass or any combustible material that gives off heat while burning to release the energy it contains. The heat is used to boil water and make steam, which pushes a piston in a cylinder to power a machine such as a railroad locomotive or generator. This is quite inefficient for a whole variety of reasons. A much better design takes the steam and channels it past the blades of a turbine, which spins around like a propeller and drives the machine as it goes. Steam turbines were pioneered by British engineer Charles Parsons (1854–1931), who used them to power a famously speedy motorboat called Turbinia in 1889. Since then, they’ve been used in many different ways. Virtually all commercial and state power plants generate electricity using steam turbines. In a coal-fired plant, coal is burned in a furnace and used to heat water to make steam that spins high-speed turbines connected to electricity generators. In a nuclear power plant, the heat that makes the steam comes from atomic reactions. Unlike water and wind turbines, which place a single rotating turbine in the flow of liquid or gas, steam turbines can have a whole series of turbines (each of which is known as a stage) arranged in a sequence inside what is effectively a closed pipe. As the steam enters the pipe, it’s channeled past each stage in turn so progressively more of its energy is extracted. If you’ve ever watched a kettle boiling, you’ll know that steam expands and moves very quickly if it’s directed through a nozzle. 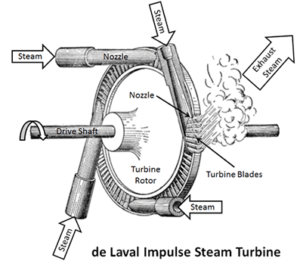 For that reason, steam turbines turn at very high speeds—many times faster than wind or water turbines. The minimum installation or platform is a simple, hand-fed ‘incinerator’ heating water to produce steam. The most common application is a generator that produces electricity. A bolt-on might be an automatic feed system, or a heat exchanger to make the process more efficient. Such a system is useful for those contexts where the energy (electricity, hot water or both) is only required during working hours and when there is someone available to feed the machine. The machine sits idle over night and on weekends. However, if the machine is going to be left unattended for extended periods, when electricity is required 24/7, and/or when the available biomass is too ‘chunky’ to feed directly into the boiler there are other additions that may be considered. Available biomass does not always come in the right ‘shape’ so often it needs to be reduced in size via a wood chipper. An automatic fuel feeding system would feed material in overnight so that power can be generated 24/7. And depending on the context, a useful bolt-on might be a large battery system, for example a Vanadium Flow system that stores unused electrical energy and releases it later. An automatic feed system feeds biomass into the boiler furnace chamber. Biomass fuel is auger-fed through a controller system. The jacketed auger will allow for drying of the feed fuel on the way in, increasing burn efficiency. Biomass of the appropriate size is fed into one end of the auger. Spiralling slowly, and channelling hot water through it, the auger both propels biomass into the furnace at a fixed rate, it dries it before it arrives to ensure a more efficient burn. The operation of the auger diverts very little energy from the total unit’s output, and if there is sufficient fuel being gravity fed into the auger it can run overnight, providing energy for telecommunications towers, security lighting or domestic use. Wood chippers are a means to reduce the size of available biomass so it can fit in the boiler furnace and burn more efficiently. Wood chippers are produced globally and are readily available. A small, electric chipper can demand as little as 3kw of electricity. If used for a few hours a week it would generate fuel of sufficient size for the rest of the week. In an ideal scenario, it is best to have a unit that can take full coconut tree trunks and process other biomass into small enough pieces. For whole coconut trees, an inlet of not less the 40cm would be required – ideally up to 50cm. A smaller unit, self-contained to do smaller operations, such as rural clean-up, coconut shells and husks would operate in tandem. A large chipper would provide fuel at a rate of about 10,000KG an hour, providing there is enough material to chip. This in turn would supply / process fuel in one hour to run the biomass system (25KW) 24/7 for 8-10 days. One truck mounted system could [potentially] service a wide area of distributed small biomass units by routinely passing by the various systems, work for 3-4 hours and provide fuel for a month or more. The Wood Gasification System evolved from the rediscovery of an old technology, and is referenced here for completeness. There are many units on the market that may be suitable for deployment in Indonesia. However, when not carefully designed and used, there exists considerable potential for injury or death due to wood gas containing a large percentage of poisonous carbon monoxide (CO) gas. The complexities of running and maintaining a gasification plant are higher, more expensive and require an ICE engine to burn the gas that emanates from the gasification system – and at a much lower Hp output than if the ICE (Internal Combustion Engine) was running on normal fossil fuel. For many off-grid communities one of the greatest challenge is obtaining/sourcing clean drinking water. Where the cost of drilling super-deep wells is prohibitive, and there is abundant biomass material available, a solution might be a small desalination unit to bolt-on the boiler and generator. A unit capable of producing between three to five tonne of clean water per day can be transported in a 20ft container and would require about 50kw to run. Kopernik, an Indonesian based research organization, has calculated the cost of inefficient drying techniques to Indonesian farmers and the value chain generally to be at least US$3billion annually. Given that the production of crops almost invariably involves the production of crop by-products, there will be many situations where one, centrally located, communal biomass boiler connected to a drier can service the needs of a community of farmers and their various drying needs throughout the seasons. A drier could be a purpose built machine (example pictured) or it could be a large covered shed, with hot water piped through the floor and fans at one end. The earliest forms of mechanical refrigeration were conducted by a process known as absorption refrigeration. A salt solution has energy applied to it usually a gas fired pilot flame, which causes expansion and then an endothermic reaction through a heat exchanger drawing heat from inside the fridge. The energy source could be hot water produced by a boiler, otherwise engaged in the production of electricity for a related industrial or domestic function. Many small businesses and hotels in Indonesia require regular supplies of hot water and electricity. Biomass systems are most efficiently employed when the co-generated thermal energy is used as well as electricity. With the addition of a heat exchanger (converting cold water to hot water) this energy is not lost. Hence, eco-lodges, regular hotels and resorts, golf-clubs/gyms, farms, laundromats and a host of other small businesses who are collocated with available biomass and require a regular supply of hot water as well as electricity are able to do so with this bolt-on equipment. Instead of bolting on a heat exchanger, it is often more efficient to install a cogeneration unit from the outset. CHPs produce (generate) energy in two forms – electricity and heat. 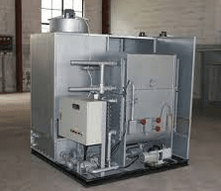 The heat output is normally associated with the use of these machines in northern hemisphere winter environments in lieu of oil burning furnaces to heat homes and offices. Either Lithium Ion or Vanadium Flow Battery Systems can be used to spread the load. This allows for more users as the batteries cover the load during peak consumption and charge during low consumption. Examples include Tesla (Lithium) and redT (Vanadium flow). Biomass boilers, generators and turbines appear to be complicated at first glance when compared to wind-turbines, solar panels and tide energy machines. However, in reality these machines are the most technologically appropriate renewable energy solution for rural Indonesia. They are difficult to break, easy to fix and maintained using non-specialist tools and training. If the operational instructions are followed the only parts that wear out are the bearings and seals. The bearings have an estimated life span of 100,000 hrs, which equates to ten years running 24/7. The bearings are lubricated for life. Turbine wheels have a life span that depends upon the quality of the steam. If the right steam quality is not used, erosion of nozzles and blades can occur. A well-maintained system is very low maintenance and longer life than a comparable diesel generator. The relative return on investment will depend on the energy source currently employed, if any. This varies greatly throughout Indonesia, however it is in places where energy is the most expensive (fuel for generators more than double the cost in more populous areas) that the most suitable locations for the employment of biomass machines can be found. In Indonesia, the benchmark is the cost of electricity purchased from PLN. The cost remains the same throughout the archipelago, about US$0.08 kwh. In remote and off-grid locations this comparison is moot as there is by definition no grid, and so the comparison would be against the local costs of generators and diesel. In theory, the price of fuel is fixed by the government, but in reality, in difficult to supply outer islands a thriving black market pushes the price of diesel up to more than twice the standard rate. Hence, all other things being equal the rate of payback will vary between locations. An ICE engine generator (diesel / petrol (somewhat cheaper if on HFO – but still high)) will cost a minimum of USD 0.50c and up to upwards of USD $1 per KWh – all depending on how much of the energy produced is consumed and the fuel price locally. Biomass is organic matter derived from living, or recently living organisms. In the context of biomass as a resource for making energy, it most often refers to plants or plant-based materials which are not used for food or feed, and are specifically called lignocellulosic biomass. 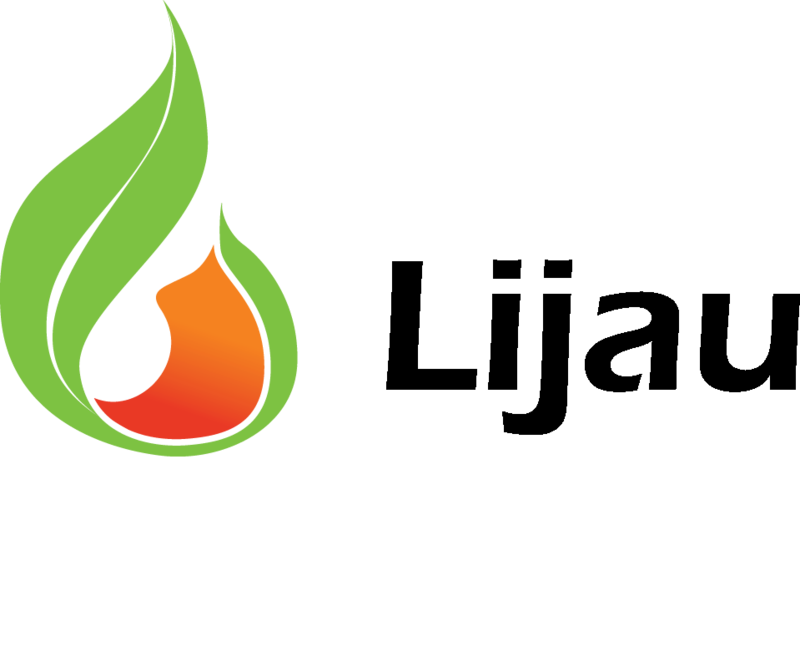 As an energy source, biomass can either be used directly via combustion to produce heat (as in a fireplace or boiler), or indirectly after converting it to various forms of biofuel. 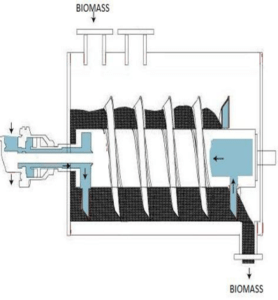 This paper considers only the simplest manner for extracting energy from biomass, and that is the incineration of it in a boiler to create heat. Gasification is a process that converts organic or fossil fuel based carbonaceous materials into carbon monoxide, hydrogen and carbon dioxide. This is achieved by reacting the material at high temperatures without combustion, with a controlled amount of oxygen and/or steam, and after cooling and filtering can then be used to power an internal combustion engine or for other purposes. The gas is low heating value fuel, with a calorific value between 1000-1200 kcal/Nm3 (kilo calorie per normal cubic meter). Fuel gas, produced by the reduction of coal and peat, was used for heating, as early as 1840 in Europe, and by 1884 it had been adapted to fuel engines in England. Before 1940, gas generator units were familiar, but not extensively utilized technology. However, petroleum shortages during World War II led to widespread gas generator applications in the transportation industries of Western Europe. (Charcoal-burning taxis a related application, were still common in Korea as late as 1970). DPRK still use trucks to this day running on gasification systems. Coconut trees grow in abundance in the tropics, and Indonesia has the world’s largest population of them. 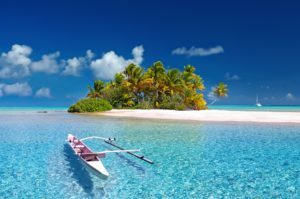 Many coconut trees have reached the end of their productive period (< 50-60 years) and are being replaced where it is affordable to do so. The old trees are usually burnt where they have fallen or lie rotting, returning carbon to the soil and air inefficiently. The removal of the old trees takes money (fuel/machines/labor) that is often beyond the means of the rural poor, as does the planting of the replacement trees, carefully nurtured as seedlings/nut sprouts. Hence Indonesia’s significant stock of coconut trees are not being maintained due to lack of energy and money, even though there is a large and growing market for coconut products. A possible project: install a small biomass boiler and chipper, harvest the old trees, chip them and turn them into electricity, hot water and carbon rich ash. The electricity powers the chipper, the nursery for the seedlings and the adjacent coconut oil production and bottling plant. The hot water supports an absorption refrigeration unit and a drying room for copra. The husks, shells and other waste from the process is also consumed in the boiler, providing a closed loop of fuel supply, economic incentive to look after trees, and a commercially viable coconut processing facility. Municipal Solid Waste (MSW) contains much that is suitable for combustion in a boiler, however labour intensive sorting is required for small scale units without the exhaust filtering of larger units. In practice, the efficient and safe conversion of MSW to electrical energy requires specialized exhaust filtration equipment (in order to burn plastics) and is best done at scale, usually no less than 10MW. However, every small and medium community, living in remote locations will be generating waste much of which would be suitable for combustion in a boiler, and even more so if it could be shredded and converted into briquettes with other woody biomass product. Making pellets is the key to biomass storage, ease of transport and uniformity of calorific output. There is an existing global market for biomass pellets. Indonesia is one of the world’s leading suppliers of pellets. Depending on what is available, pellets can be efficiently made from crushed palm kernel shells, coconut husks, and sawdust and offcuts from sawmills and furniture factories. The process is fast and simple and would be undertaken as part of a larger project to support biomass generated electrical capacity across a broad area with inconsistent availability of biomass. One medium size pellet maker collocated with an aging palm oil plantation, for example, could sustainably return the palm oil plantation to forest or productive farmland while providing very cheap pellets for remotely located biomass boilers not collocated with such material. The energy for this process would come from a collocated biomass boiler. If there are any questions arising from this post, please do not hesitate to do so in the comments section below (scroll below the references). You are also invited to sign up for email notifications of future posts on this site. If you wish to unsubscribe from our emails, you may do so here. The very first production of electricity in the 19th century was via steam driven turbines spinning copper wire within magnetic fields. Again in the 19th century, the very first refrigeration units employed the same kind of absorption refrigeration made possible with the hot water by-product of this electrical generation process. © 2019 www.lijau.com. All Rights Reserved, a company of Asia Pacific Energy Solutions, Pty Ltd.